Fogden Builders is an approved member of NZCB, so you know you’re in good hands. New Zealand Certified Builders must have a solid reputation built on the highest standard of knowledge, skills and expertise, and Fogden Builders is proud to carry the NZCB stamp of approval. 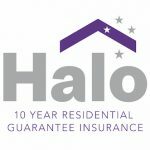 Our clients can expect first-class knowledge and expertise, and enjoy peace of mind knowing our work is backed by Halo, New Zealand’s most comprehensive 10 year residential building guarantee. New Zealand Certified Builders have partnered with one of the largest insurance underwriters in the world, Lloyd’s of London, to bring you Halo – the most comprehensive 10 year residential building guarantee on the market. It’s a unique, independent building cover that’s only available to people who build or renovate with an NZCB approved builder like Fogden Builders.